Adapted into two classic motion pictures, this bestselling memoir is the unforgettable story of two parents, twelve kids, and a world of laughter and love. 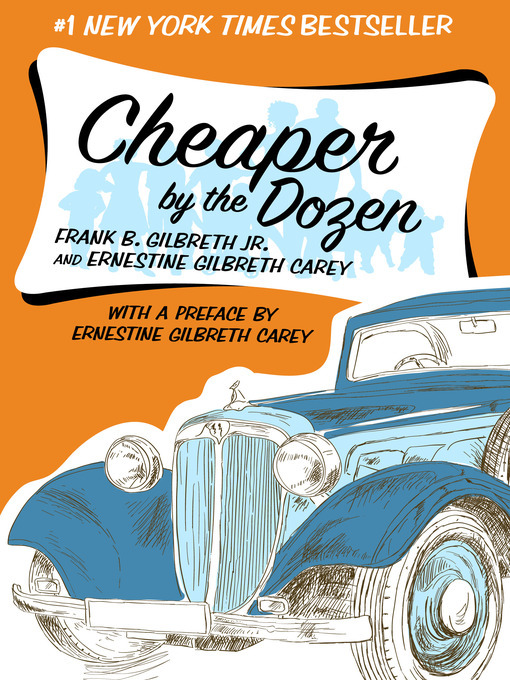 Translated into more than fifty languages, Cheaper by the Dozen is the unforgettable story of the Gilbreth clan as told by two of its members. In this endearing, amusing memoir, siblings Frank Jr. and Ernestine capture the hilarity and heart of growing up in an oversized family. Mother and Dad are world-renowned efficiency experts, helping factories fine-tune their assembly lines for maximum output at minimum cost. At home, the Gilbreths themselves have cranked out twelve kids, and Dad is out to prove that efficiency principles can apply to family as well as the workplace. The heartwarming and comic stories of the jumbo-size Gilbreth clan have delighted generations of readers, and will keep you and yours laughing for years. This ebook features an illustrated biography including rare photos from the authors' estates.